1.Kids mark days till X-Mas w/snowflake on ribbon; Add chocolate or other candy treats (not included); Fun count down tradition for kids and the entire family. 3.Layered felt, stitched pockets, loop for hanging in all parts of the christmas tree house. 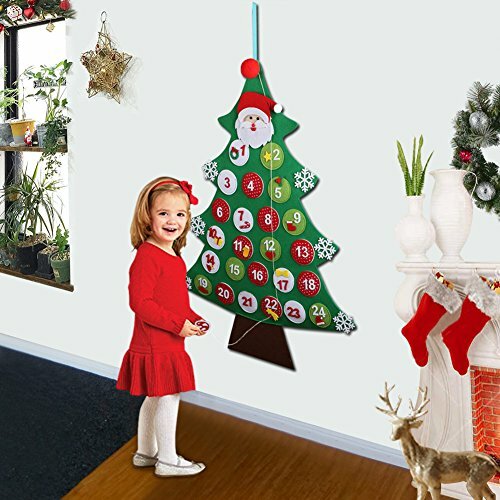 4.Christmas decoration for home or office, fun for everyone.